In absolutely serious (pun intended) breaking news, here's some of the valid proof offered as presented by 'Flat Earthers' explaining why we must overlook the facts, leave genuine science, and avoid those awful, awful liars at NASA and other space agencies. Bear in mind, these are just some of their reasons. If you're searching for an real challenge to hard science, from the fact that different points on the planet experience day and night at the same time, or the Coriolis effect, to the round shadow of Earth on the Moon, well you've come to the wrong place. Funnily enough, these guys have neglected to explain these things. Neil Degrasse Tyson blames schools for this. The whole education system too. Tyson said this in a tweet, which had more than 72,000 retweets and more than 188,000 “likes”. Tyson was expressing alarm at “flat-Earthers,”. 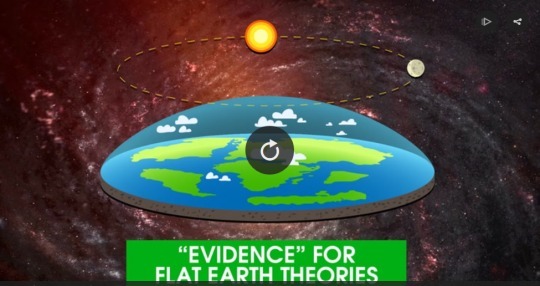 Flat-Earthers believe NASA is part of a broad conspiracy to fake the evidence of a spherical Earth, and there are societies of people, such as this Flat Earth Society, that produce materials “proving” the conspiracy. Watch the video below for Flat Earther’s evidence. Have you seen any other fun theories recently? Let us know!